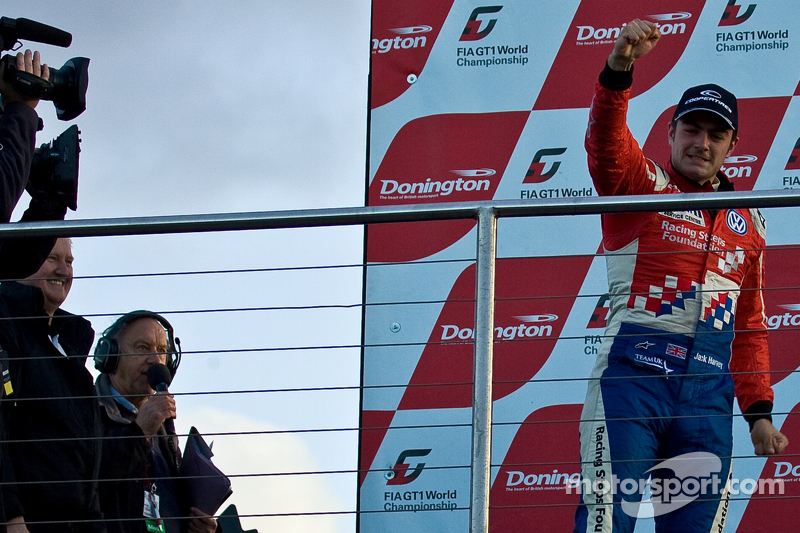 British racing driver Jack Harvey was today crowned 2012 British F3 Champion after two stunning lights to flags victories at Donington. The Racing Steps Foundation-backed driver is the first British winner of the British F3 Championship since 2006, and joins a long list of racing greats including Senna, Hakkinen, Piquet and Stewart to win this highly-respected Championship. 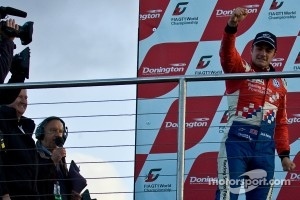 This weekend’s two wins at Donington bring Jack’s total number of race wins this season to seven and, due to Harvey’s brilliant run of strong results, the Carlin driver has never been out of the top three of the Drivers Championship all season. The MSA Team UK driver was dominant at Donington from the off, posting the quickest lap time in free practice. The Carlin driver then went on to match this pace in qualifying where he secured a double pole position for races one and three. 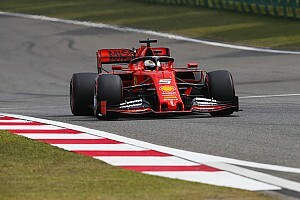 On Saturday afternoon Harvey made a textbook start to race one from pole and immediately began pulling away from second placed driver Jaafar. 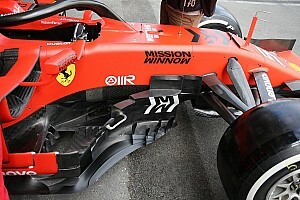 After two laps he had pulled out a 1.5 second gap, and after four laps the gap was up to 2.5 seconds. Harvey continued to put in a series ofspectacular laps and by lap 14 he was four seconds from his nearest rival. After twenty laps of racing Harvey clinched victory and moved to within a single point of the Championship leader. For race two Harvey lined up in P8 for the reverse grid, behind his Championship rivals Jaafar and Serralles. Making another strong start, Harvey was up to P6 by the end of lap one. With the safety car out to deal with the incident between Jaafar and Lynn, the field was bunched back together. On lap five the safety car was brought back in and the race restarted. Running closely behind Van Asseldonk, Harvey crossed the finish line in sixth place; taking the Championship lead with 229 points, with Serralles on 296 and Jaafar on 294. Race three on Sunday afternoon saw a dramatic climax to the Championship with the daylight fading quickly and Harvey knowing that a winwould clinch the title. Lining up in pole position, Harvey made yet another textbook start and began to pull away from Lynn in P2. Lynn began to fight back after a few laps of racing but Harvey kept a cool head and controlled the race right up until the checkered flag where he took his seventh win of theseason and the British F3 Championship. “It’s hard to put into words what today means to me. 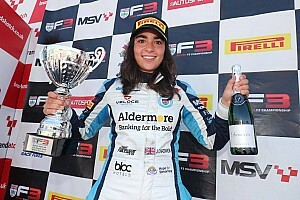 It has been an amazing year and to win the British F3 Championship today is a dream come true;” commented Jack Harvey. “I want to say a huge thanks to the Carlin team for all the hard work they have put in over the year. Most of the work goes on behind the scenes but these guys work so hard every day of the year to give me a fantastic car to drive. I also want to say a massive thanks to Derek and Graham from the Racing Steps Foundation for their support again this year. And of course to my family who are there for me every step of the way;” continued Jack Harvey. 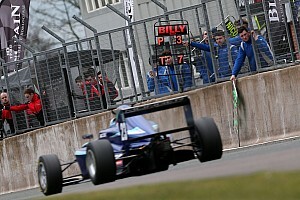 Jack Harvey wins the 2012 British F3 Championship with 319 points. Jack Harvey is a British racing driver with nine years racing experience, including a year in British F3, two years in Formula BMW Europe and six years in karting. Jack’s racing achievements include second place in the 2010 Formula BMW Europe Championship and winning every Karting Championship he has ever entered. 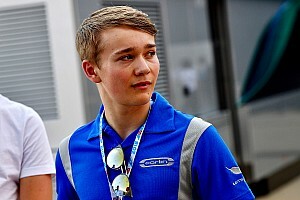 Jack is supported by the Racing Steps Foundation and is part of the MSA Team UK Scheme and the BRDC Superstars Scheme. He was nominated for the 2010 McLaren Autosport BRDC Award.